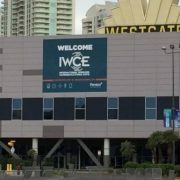 The International Wireless Communications Expo (IWCE) took place March 5-9, 2018. 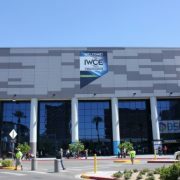 Here are some of the featured products from exhibitors at IWCE 2018. 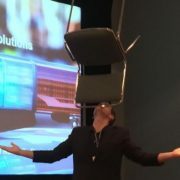 David Rush, Cradlepoint’s senior product manager for hardware and firmware, balances a chair on his chin—all while moving to the ground, executing a sit up, and returning to a standing position. 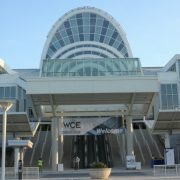 The International Wireless Communications Expo (IWCE) is taking place March 5-9, 2018 at the Orange County Convention Center in Orlando, Fla. IWCE is a venue where people can make the human connections they need to be successful, whether it is connecting to a future client, boss, employee or business partner. 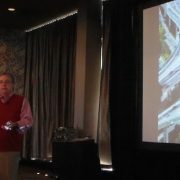 It is also where people can connect to information about a technology, product or policy that is crucial to success. 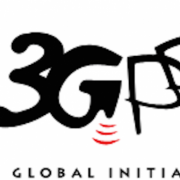 See innovation at its best and join us for the premier event for communications technology. 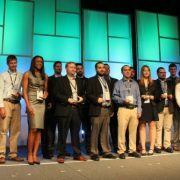 These are the up-and-comers in the telecommunications industry, honored for their spectacular work and additions to the industry, despite their young ages. Images from the International Wireless Communications Expo 2017 in Las Vegas. Check out what happened at IWCE 2016 in this photo gallery. Photos by Derek Prall, Donny Jackson and Nadira Ramatally. 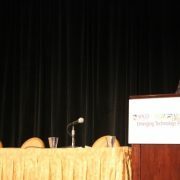 A look at the speakers and topics discussed during last week’s APCO Emerging Technology Forum held Nov. 17-18 at the Ritz Carlton in Atlanta. Snapshots of sessions and the show floor at Enterprise Wireless Alliance’s Wireless Leadership Summit 2015, which took place Oct. 7-9 at the W Midtown in Atlanta.